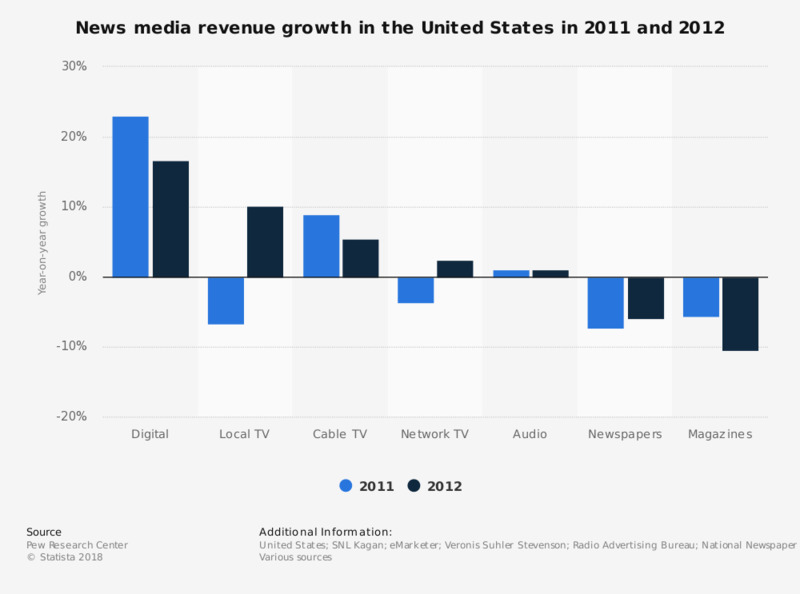 The statistic shows the percentage change in revenue of news media in the United States from 2010 to 2012. Cable TV increased its revenues by nine percent in 2011. In 2012, the growth slowed down to 5.4 percent. Network TV in the U.S. describes broadcasting chains with a main channel, supplying a small number of local stations. Figures for 2011 come from an earlier edition of the same report.